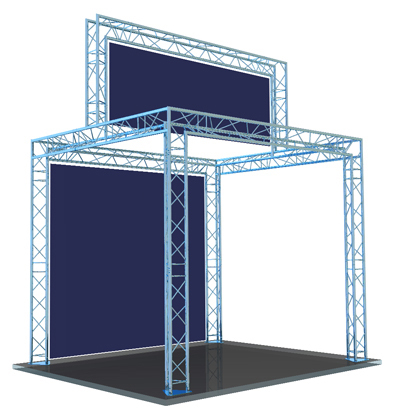 Exhibition gantry hire is offered in two ways. 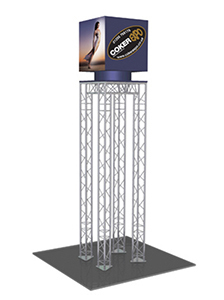 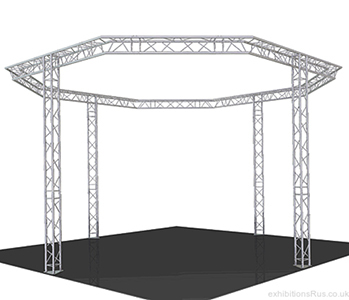 Either fully installed and later removed by ourselves or just delivered to your company premises or direct to an exhibition hall in our special lighting truss transit cases containing all you need to set up your chosen exhibition truss design yourselves. 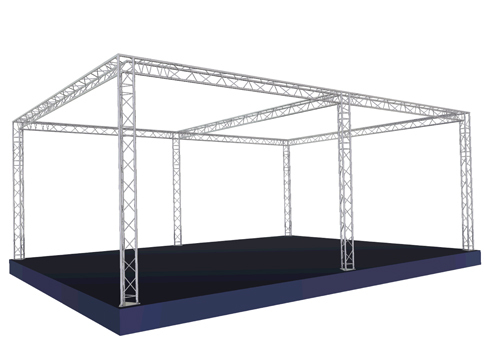 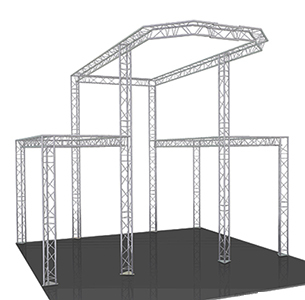 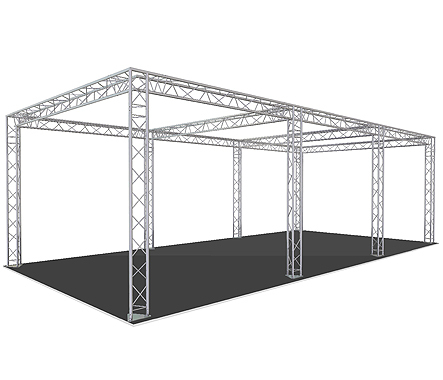 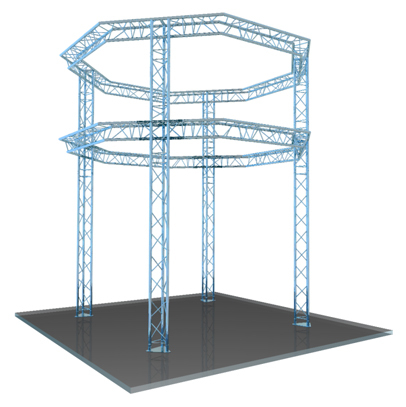 We will supply a scale drawing and diagram showing the locations for each truss junction and beam length for your specific lighting truss hire structure. 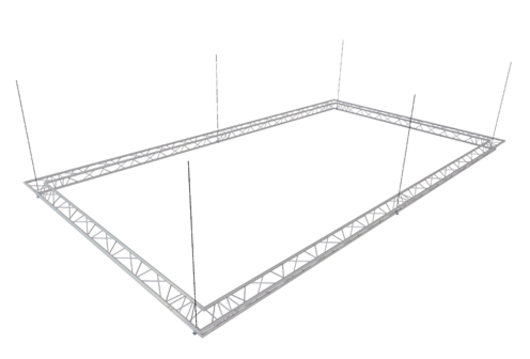 We only hire out spigot and pin connection truss systems there quick an easy to put together, nut and bolt systems are fiddly and time consuming by comparison. 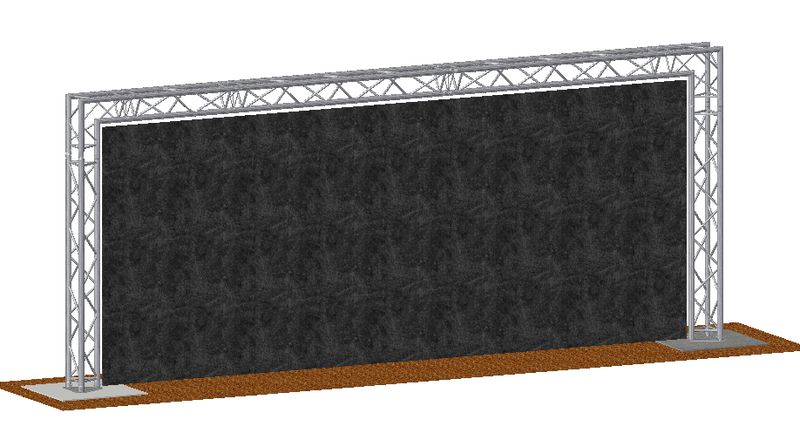 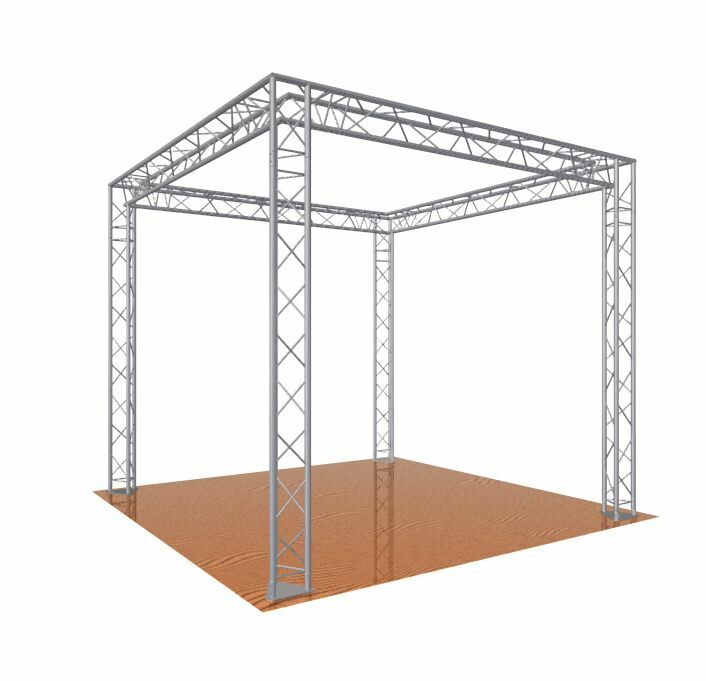 Along with this we will supply a handy set of simple instructions on the methods to set up the lighting truss system its self. 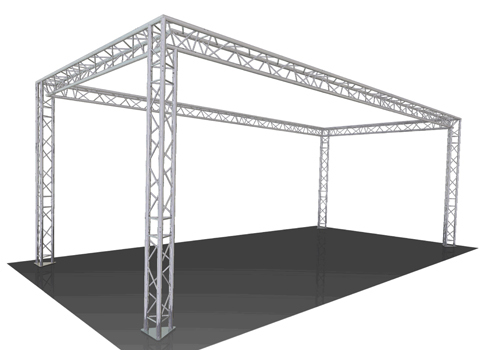 All our truss rental systems are TUV certified and we also provide a full set of health and safety papers to be completed as appropriate by your installation team. 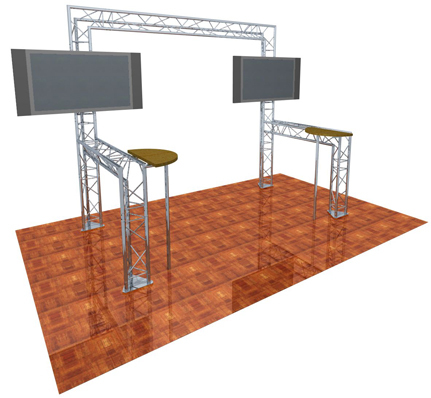 We are here to help you with your trade show as little or as much as you wish us to be involved. 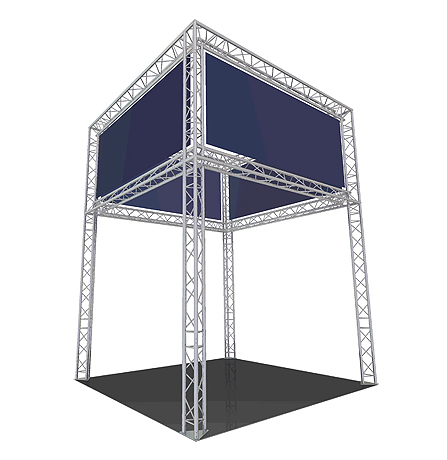 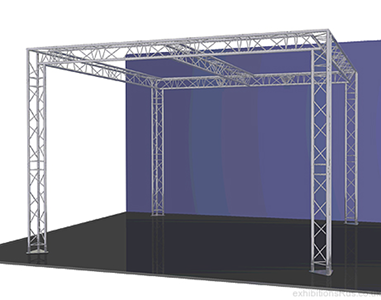 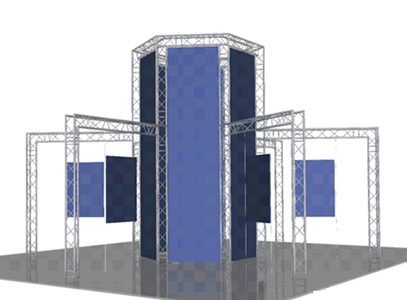 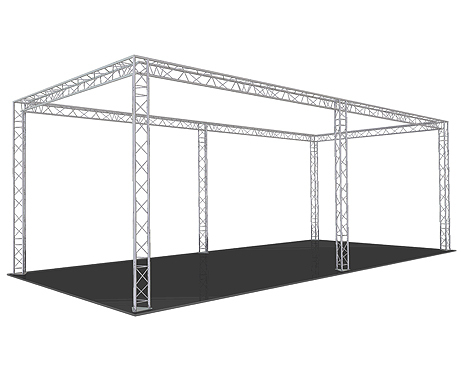 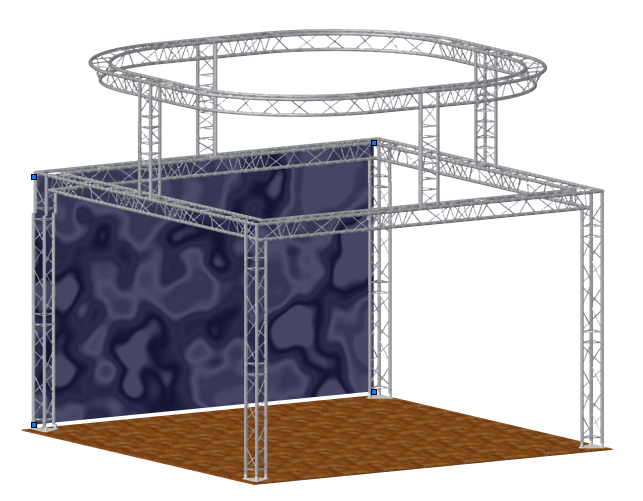 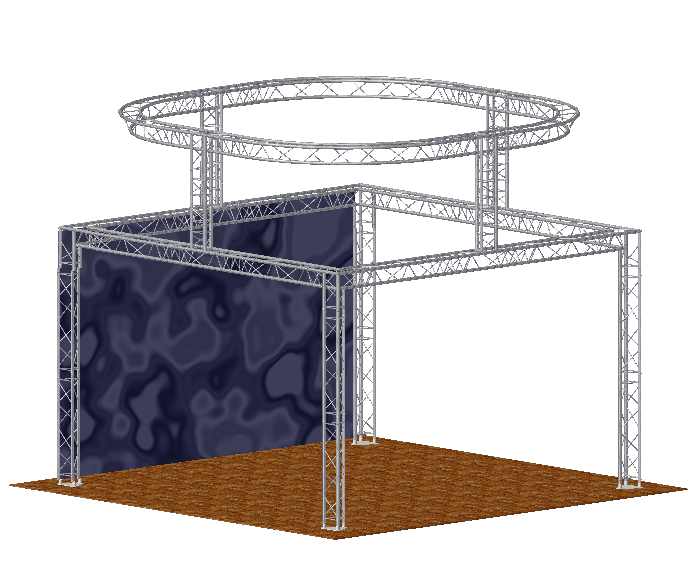 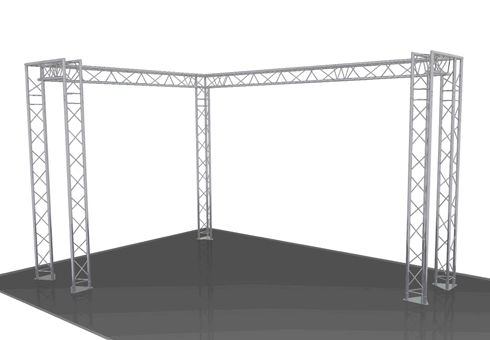 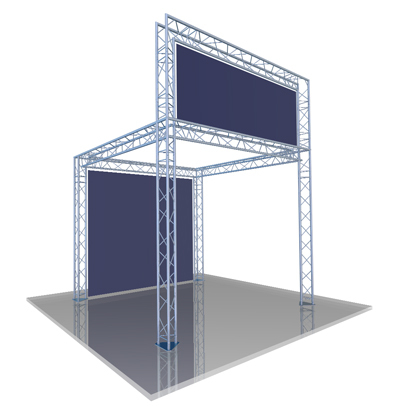 Many customers will opt to hire a lighting gantry system with all the lighting kit as a trial prior to purchasing there own truss system.